You may have noticed that some Instagram sponsored posts (usually for clothing items) will let you horizontally scroll through multiple pictures in a single post. At present, only advertisers have access to this functionality, but it appears that regular Instagram users will soon be able to do this, too. 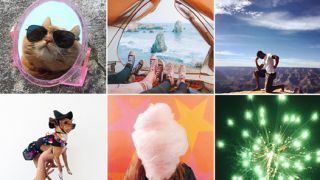 Members of the Instagram Android Beta Program, including Tim Wrobel from Droid Life and Twitter user Philip Chang, have revealed that the latest beta version of the popular photo sharing app lets users enable multi-photo selection by simply holding down on the first photo you want to share. According to the beta testers, and later confirmed by The Verge, Instagram is letting users select up to 10 photos for a single post, mercifully saving us from endlessly scrolling past overeager posters who can’t help but share every single photo they take, regardless of quality. Instagram has yet to comment on when this feature, which is reportedly quite buggy at present, will be available to the general public. However, it’s already being tested in the latest beta, so we imagine it can’t be too far off.